For food manufacturers and goods exporters, wooden crates and pallets are a cheap packaging solution for the transportation of their products. While domestic transport is easy, problems arise when it comes to exporting goods shipped on wooden pallets or in wooden crates. 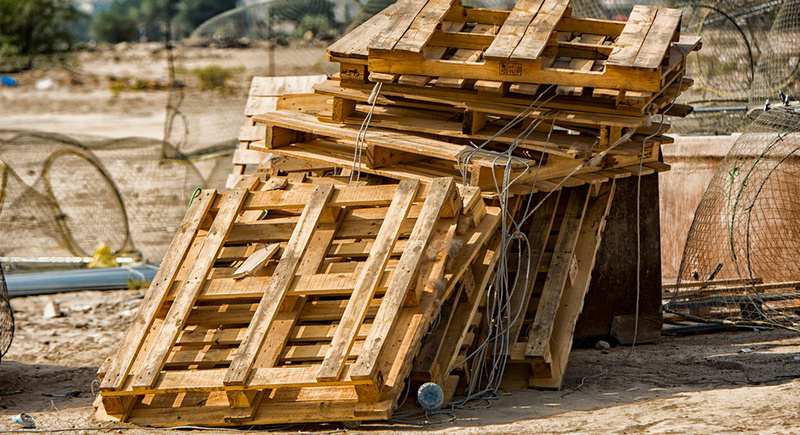 There are numerous international regulations that these wooden pallets must meet before being allowed to cross borders. The International Standards for Phytosanitary Measures Number 15 (ISPM-15) stipulates that wooden pallets and crates need to be debarked then heat treated or fumigated to kill any bacteria or insects living in the wood. Wooden packaging can be contaminated by E coli or salmonella, or it could be infested with wood-boring insects which could pose a serious risk to international ecosystems. “Aside from the additional cost and inconvenience, making your wooden crates and pallets ISPM-15 compliant can have a few negative consequences,” says Jan Vreken, director of Kimmo – a South African packing company. “Heat treating wood can make it brittle and weak and fumigating wood with methyl bromide is also undesirable. Methyl bromide is a highly toxic, ozone-depleting material that is corrosive to the skin and eyes and has an unpleasant mouldy odour,” he explains. These regulations make it more difficult and expensive to use wood as a packaging material when exporting goods overseas. Companies tend to opt for plastic crates and packaging as the next option, but these often create pollution problems later in their lifecycle when they are discarded. New, rigid forms of cardboard pallets are being developed that are strong enough to carry and support big loads. These paper-based pallets and crates are made by sandwiching a thick layer of cardboard honeycomb in between two flat cardboard sheets, giving it similar qualities to wood. The honeycomb core provides the necessary strength for the job. These packaging materials are a strong, lightweight and cost-effective alternative to wood. They are also exempt from the ISPM-15 regulations as they don’t harbour any insects or colonies of bacteria. Kimmo pioneered the honeycomb technology and also use it to create other products such as bins and heavy-duty boxes. Once these products reach the end of their lifecycle, they can be recycled easily – unlike wood that has been fumigated. They are also biodegradable if they end up in a landfill. Biodegradable plastic technology is making steady progress across the globe. In South Africa, the Council for Scientific and Industrial Research (CSIR) is busy developing a completely biodegradable and recyclable plastic that can be used for packaging and pallets. These plastic packaging solutions will be 100% biodegradable if left in the environment and are created from biopolymers and agricultural by-products. While the manufacturing costs of biodegradable plastic are far more expensive than regular plastic, the technology will evolve and the methods of production will become cheaper over time. Currently, wood is the favoured material when it comes to pallets and transport packaging, but it can pose problems for companies looking to export their goods. Cheap and durable alternatives are slowly emerging but most importantly, these materials are biodegradable and recyclable.